Fight rival gangs to take over control of New York City’s crime organization. Running an up and coming criminal organization is no easy task. You have to surround yourself with people you can trust, complete jobs to bring in money, and spend it wisely on bribing city officials. It doesn’t help that you’re competing with other aspiring crime families, each looking to grab a piece of the pie in 1940s New York City. 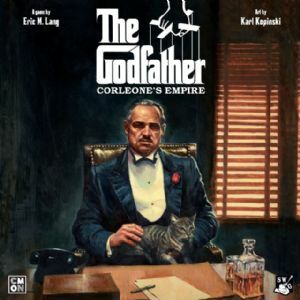 In The Godfather: Corleone’s Empire, you’re trying to earn enough money so that your organization is in a position to take over control of the city if Don Corleone were ever to meet with an unfortunate accident. Plan your actions carefully, fight for control of your turf, and above all, trust no one, not even family. If you’re able to be the richest mobster at the end of the fourth act, you’ll become the new Don. Enjoy it while you can. It’s never long before a new young mobster will come gunning for you and you might end up facedown in the Hudson.